Absadi Kidane, 21, hit and run DUI fatal 032117 Santa Monica Police Calif.
Santa Monica Police reports that on March 21, 2017, at about 3:30 p.m., the Santa Monica Police Department (SMPD) received several calls for service of a vehicle versus pedestrian traffic collision at the Civic Center Parking Lot – 1821 Main Street. Several witnesses described the suspect vehicle as entering the parking lot from 4th Street and proceed westbound at a high rate of speed. The vehicle continued through a parking gate and struck a pedestrian standing at a pay parking booth in the lot. The vehicle continued across Main Street and struck a parked vehicle. The suspect driver exited the vehicle and fled the location. Officers gave chase and confronted the suspect at the 300 block of Pico Blvd. The suspect was taken into custody following a struggle with officers. The suspect has been identified as Absadi Kidane, a 21-year old male. Officers discovered the victim on Main Street and was unresponsive with critical injuries. The victim was treated at the scene by Santa Monica Fire Department Paramedics for his injuries. The victim was transported to a local hospital for treatment. Unfortunately, the victim succumbed to his injuries. 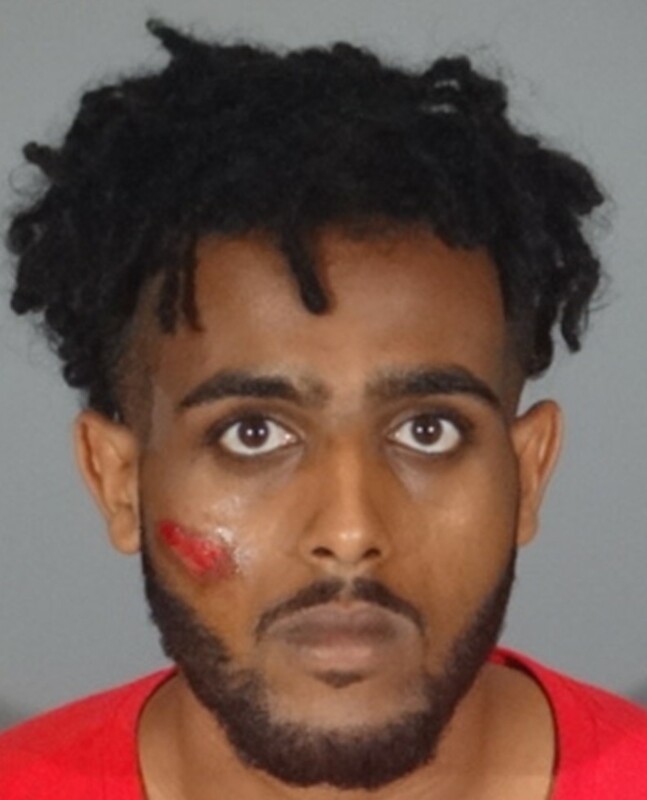 Kidane has been booked for 187(a) PC-Homicide;192(c)(1) PC-Vehicular Manslaughter; 191.5 PC-Vehicular Manslaughter while Intoxicated; 23153(a) CVC -Felony Driving Under the Influence; 20001(a) CVC-Felony Hit and Run; and 69 PC- Forcibly Resisting Arrest. Kidane remains at SMPD Jail with a bail of $2 million. The case will be presented to Los Angeles County District Attorney’s Office – Airport Division for filing consideration. The investigation is ongoing and investigators are interested in speaking with anyone who was in the area near the time of the collision. Anyone with additional information is asked to contact Investigator Olson at (310) 458-8954; Sergeant J. Cortez (310) 458-8713 or the Santa Monica Police Department at (310) 458-8491. This entry was posted in DWI arrest photos, DWI Arrests by State, DWI crash photos, Hit and run DUI DWI drivers, injury or death and tagged Absadi Kidane DUI hit and run killer, Driving Under the Influence, driving under the influence of alcohol, driving while impaired, driving while intoxicated, drunk driving, DUI, Felony Driving Under the Influence, Los Angeles County District Attorney's Office, Santa Monica Police, vehicular manslaughter. Bookmark the permalink.